Last week was Beast Week Part 2! I started the week much less fresh than the previous week and ended it much more tired! I’m not sure I’ve ever dedicated myself to two tough runs (speed work + tempo) in addition to my long run (which includes faster paced segments at times) before and I’m learning it takes a bit more recovery time. As we all know, I like to cram as much as I can into a week and by the end of this week I was paying for it a bit. However, I did have some really stellar workouts and you’ll be glad to know I’ve taken some much needed R&R since the end of this past week. I slept in and did P90X3 Triometrics after work. Normally this workout is the second of the week but since I had just completed the previous week’s 2nd upper body workout on Sunday, I moved Triometrics to Monday. Triometics is a plyometric/lower body strength workout and I tried to take it a little easier knowing I was coming off a hard week prior. AM- I started the day with a double P90X3 workout. First Eccentric Upper and then X3 Yoga. Lots of pushups! Mike and I had actually woken up to do our interval workout in the morning but it was so incredibly windy we decided to put it off. PM- I had 4 mile repeats on tap and wanted to find a track to do them at. I went to high school near my work and was sad to see that a girls lacross team was going on in the center of the field. I ALMOST left but then I noticed a runner (an older man) was running laps. There weren’t that many people in the stands (maybe 60?) so I figured it wouldn’t be too distracting if I joined him. So I worked up the courage to crash the party and run intervals around the game. 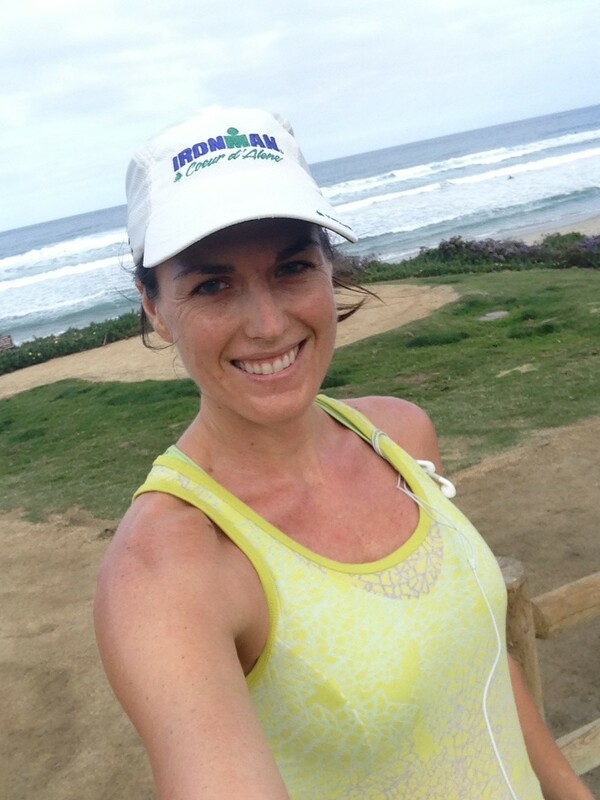 I rarely run on the track – I often just do intervals on the road. After just over a mile warm-up, I ran my first mile. Mentally I had prepared for around a 7 minute mile. I remember running mile repeats during very early Ironman training (around March 2012) when I went to a coached track workout with the Tri Club. The track was actually unavailable that day and we had to run around the block so the terrain wasn’t flat or fast. I remember running all my repeats around 7:20-7:40 so I figured I’d be around 7 now. Especially since I just ran a 5k with an average of around 7:12. I was really surprised when I started running that the pace in the high 6s felt almost comfortable. I pushed it but didn’t go to exhaustion and the first mile clipped off at 6:48. I wondered if this was a fluke and I’d tired out. The recovery period (3 minutes) felt really long, but I still had 3 to go. Number two came in at exactly the same pace: 6:48. The next mile was even faster – 6:42 (even as I write this post I keep writing 7:48, 7:45…haha I’m NOT used to writing 6s when it comes to pace!). They were definitely getting harder but the pace was still natural. I was pushing but not going over the edge. I felt invincible! Finally, my last repeat. I pushed it harder on this one. It was still windy so sections of the track would have a tail wind and others a head wind but I just hammered through it. I was shocked and proud when my final mile clocked at 6:35. I didn’t think I had it in me to run ONE mile that fast (well maybe ONE) let alone 4. I ran back to my car and my total mileage was nearly 7 miles and the overall average was under 8 minute miles. This is another first. I’ve never done a speed or tempo workout where the entire thing, including warm-up, cool-down and recovery, was in the 7s. Races only. Not anymore! My legs were tired Tuesday night and since I already had 3 P90X3 workouts done for the week, I slept in Wednesday morning. I was glad I did! That evening I got on the trainer and waited for Mike to come home and join me. He didn’t get on the bike until I was already on there for about 45 minutes so I kept riding until I hit 1 hour 20 minutes of riding (I wore my heart rate monitor and kept it between high Zone 1 and low Zone 2). I felt like I could have gone longer and stayed on with Mike but figured I should get off and start recovering. AM: I started the morning with P90X3’s lower body workout, Eccentric Lower. I tried to take it a little easier knowing I had a tempo run that evening but it’s hard not to feel the burn with so many squats and lunges! PM: That evening I came home not excited to run. Mike was also going to do a tempo run and we both motivated each other to get out the door. The wind was blowing and there was an event going on down the 101 so there were a ton of obstacles (i.e. people – walking, running, riding bikes, dogs, children, you name it) to run around. Luckily we didn’t know that until we were already running! The workout was VERY similar to last week but with one major change – no recovery between! 1 mile warm-up, 3 miles @ Marathon Pace, 3 miles at Half Marathon Pace, 1 mile cool-down. My legs were heavy when I started and I had no idea what to expect. I figured since I was tired and didn’t have the recovery between that my average paces would be slower than last week. I started off and was really surprised at how easy the marathon pace (8-8:10) felt. I honestly couldn’t believe it. the effort felt like a 6/10. After the 2nd mile clicked off, it started to get a little harder, and harder still when I started to climb the hill going into Solana Beach, but overall felt good. I actually purposely slowed down toward the end knowing I had to speed up without any recovery for the half marathon pace portion. The average ended up being 8:04, 1 second/mile faster than the previous week. Once I turned around and headed back, I picked up the pace to half marathon pace. I felt pretty good at first, especially heading back down that same hill. Despite a headwind, I was able to maintain the pace. I was pushing it but not too hard. It got harder and harder of course, especially climbing the last hill (around mile 5 out of the 6 tempo miles) but I was able to pick it up at the end and finish strong. My average pace was exactly the same as last week for this portion – 7:40. I came home exhausted and happy. Despite less rest I still hit my paces! AM: I had plans to run with Asia and we met up for 6 easy miles. My legs were heavy and this run was very slow. I was glad to have a friend to keep me company! After work I had planned to do my final P90X3 workout knowing it’d be hard to get in any other time over the weekend, but I just had no motivation to do it. Mike and I relaxed at home and enjoyed some peace and quiet before the busy weekend began. 14 mile long run run. Mike and I woke up at 6 a.m. to run since we had a long day ahead of us. I really wanted some company so I ran with him for the first 6 miles of the run until he turned around. I didn’t want to hold him back, so I picked up my pace a bit and we ran in the high 8s. Once he turned back and I was on my own, I slowed down. I knew I should be running this run slowly and I could already feel the fatigue from the past 2 weeks setting in. It was warm and although it wasn’t miserable, it wasn’t a fun run. The closer I got to home the more my legs ached. By the end, I was running 10 min/miles and I knew I needed rest. My mind kept going back to ways to get unscheduled rest days in my schedule. 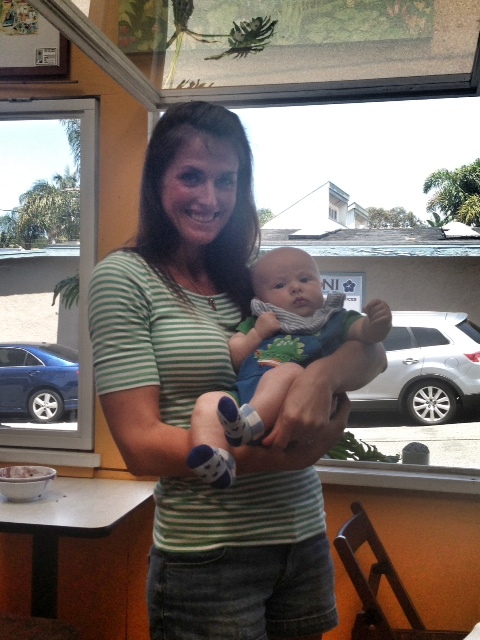 After the run we met up with friends for lunch (and I finally go to hold Baby Camden!) and then after a short break we headed over to Asia and Jeremy’s for a pool party. We were out andabout all day with no rest. Ultimately I decided my 90 minute spin for Sunday would be canceled in favor of rest. My legs were heavy and I needed the sleep. I didn’t regret it! I almost considered trying to squeeze in the P90X3 workout I missed but decided I’d do it Monday instead. We had brunch with Mike’s family at 9:30 and immediately drive an hour up to see my Mom for a family party all day. It was a great day but not relaxing! In the end, I was a bit disappointed that I missed my second cycling sessions and the final P90X3 workout but I knew going into this crazy schedule of mine that it wouldn’t be easy to fit it all in. I got my key workouts in and I was very happy with how those turned out so all and all I felt like it was a successful week! I’m glad I listened to my body and took a rest day on Sunday and I think it helped me avoid digging a bigger hole! 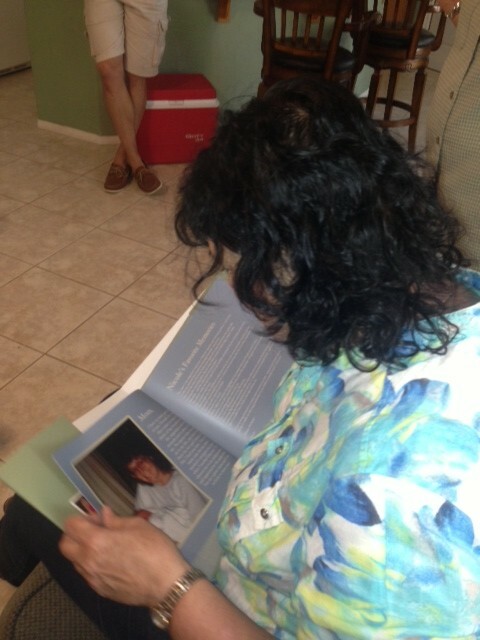 I finally got to give my mom her 60th birthday gift – a photo and memory book! How many hard weeks can you handle before you need a rest week/day? Do you do both a speed workout and tempo workout normally each week while training for a big race? You’re seriously killing your workouts! Way to run hard! And your paces are seriously impressive. Even through reading your blog I notice a huge difference over the past couple years. And now I love to know the places you talk about (the hill into Solana Beach)! I’m going to take a page out of your book next time I’m training for something and do tempos and speed- obviously it pays off! Thanks!! So fun that you know my route now! The tempo and speed works for sure! Great job training last week!! And even better job on improving your run splits, that’s awesome! It’s seriously the best feeling seeing 6’s instead of 7’s! I also like to cram as much as I can into a week… by the weekend it’s hard not to feel completely fried. Good for you for listening to your body and taking a rest day on Sunday… I know how hard that can be! You rocked another great week! Do you think that you have gotten faster because of the P90X or because you are running harder in general? 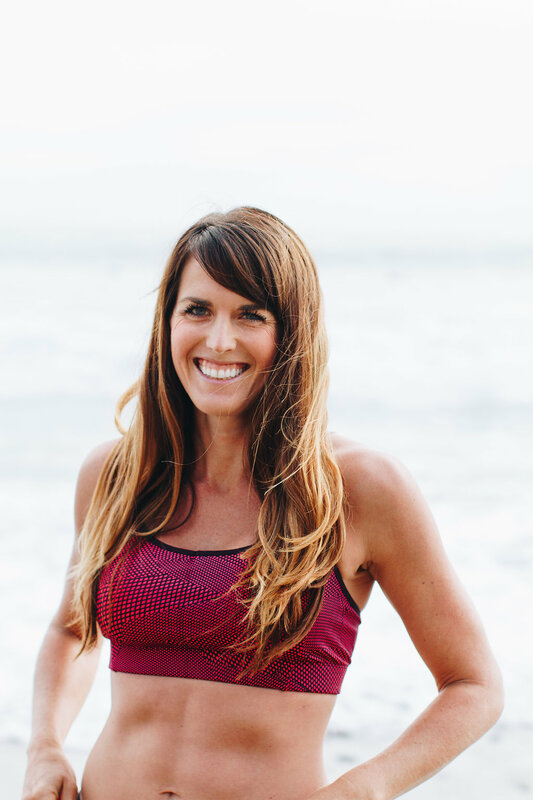 You are going to rock your half in a couple weeks and have an awesome base when you start your marathon training again! I can’t believe that you have never really done speed on the track. That is definitely how I have gotten “faster”. I use the word fast loosely! 🙂 When I am just training for a half/full marathon. My 3 key runs are speed tempo and long. The rest of the week I cross train. I used to do 800s a lot but I would do them on the treadmill! I don’t have easy access to a track. Last year when I worked with a coach we mostly did tempo intervals- 5 or 10 min segments, not track workouts. And I think I’ve gotten faster mostly bc of the running but also p90x! Great workout week and way to go on those mile repeats! Nice work. And good job listening to your body and giving yourself some rest. You are rocking it girl!